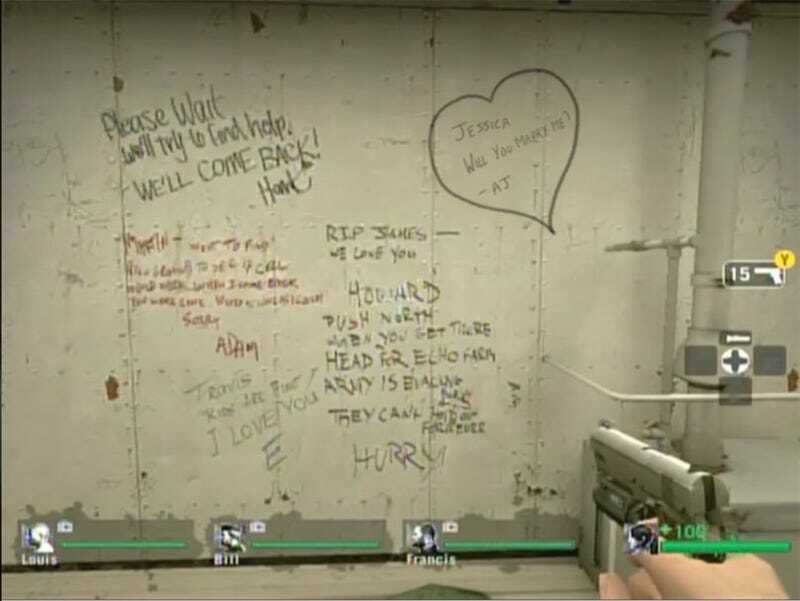 Valve's Left 4 Dead is useful as both a chilling simulation of the zombie apocalypse and as a tool for encouraging cooperative play in an online shooter. Those and...weddings. Example: AJ plays Left 4 with his lady friend. Seeing as the game plays a special part in both of their lives, he decided to propose to his girlfriend, Jessica, with the above image. If she should refuse, she'll be left behind, with one handgun and no pipe bombs. But if she said yes?